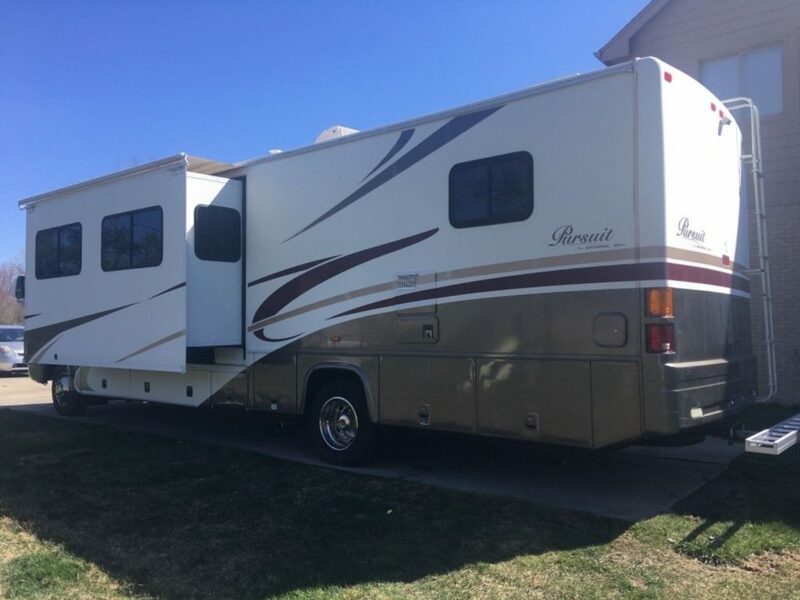 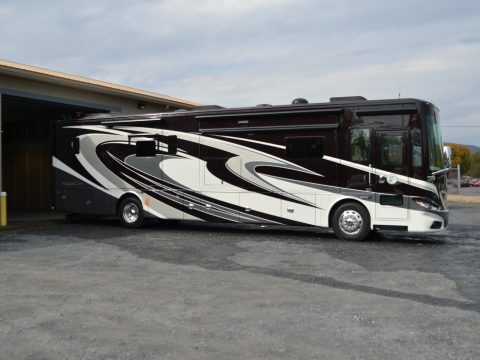 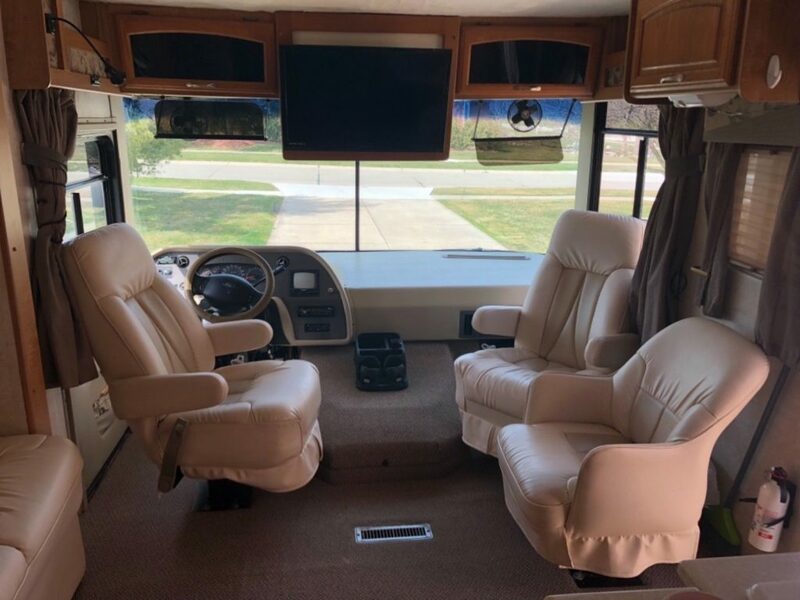 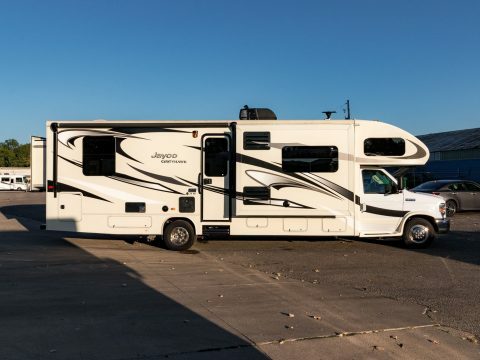 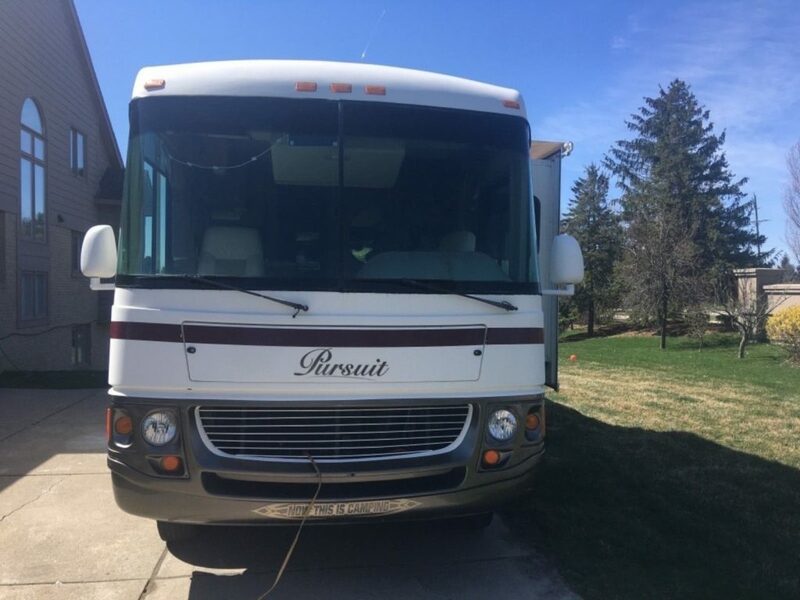 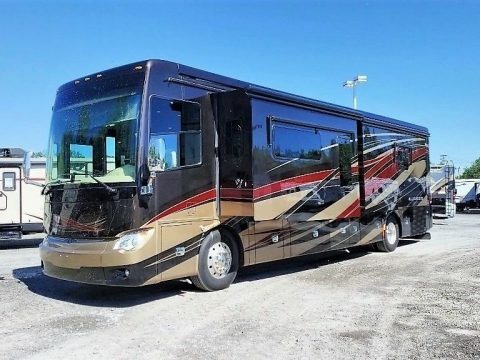 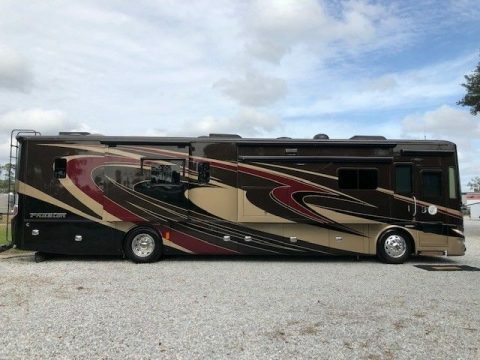 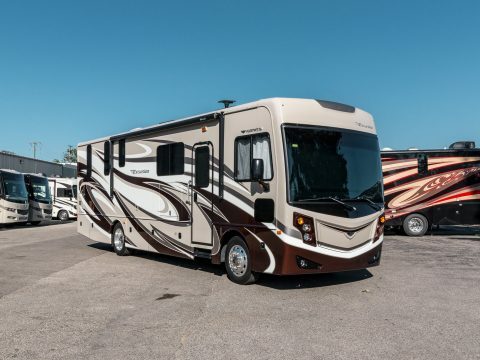 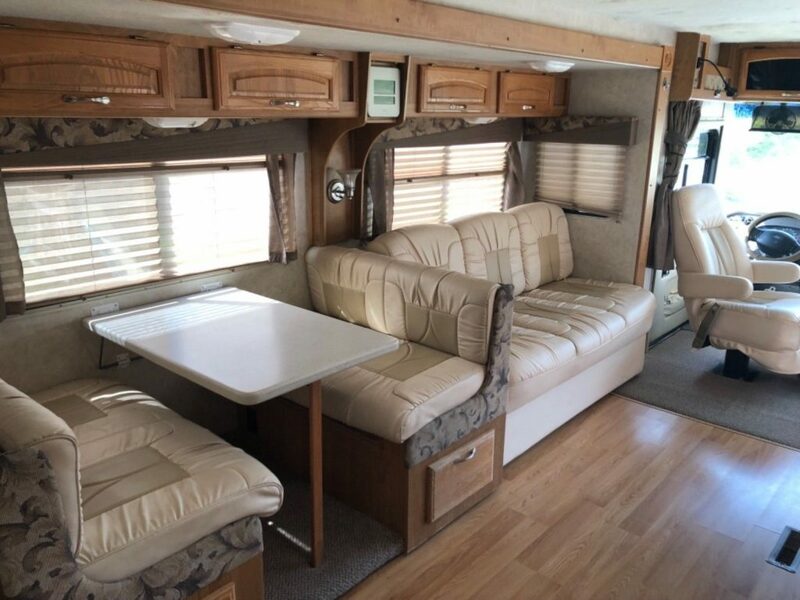 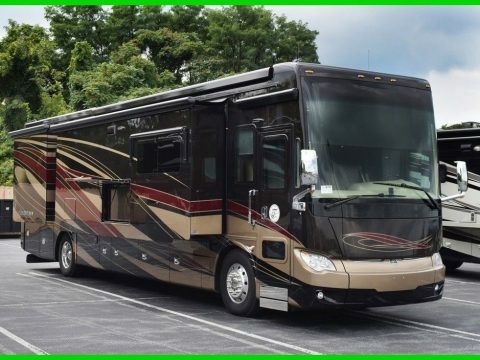 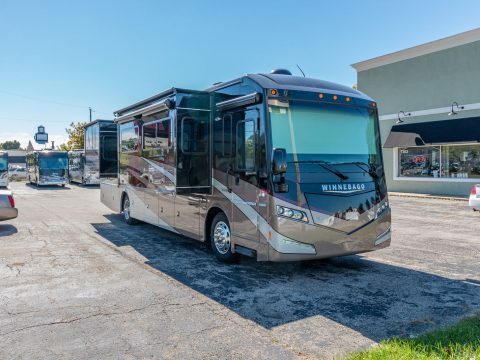 This used and well-maintained 2005 Georgie Boy Pursuit 3500DS Class A motorhome has 2 slide outs and ONLY 35,600 miles. 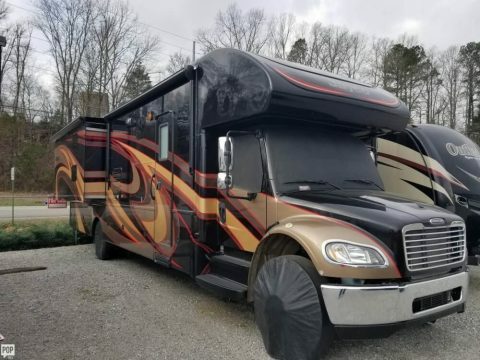 It sleeps 5 people. 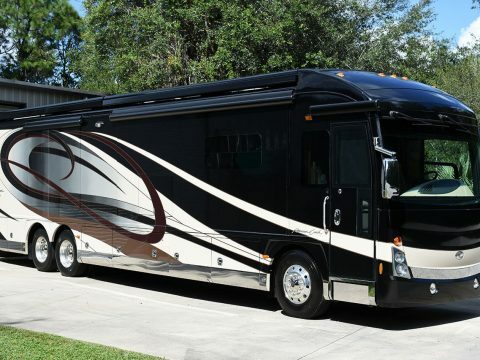 It is 35 feet in length with a Ford Triton V10 engine, Ford transmission, Ford chassis, 5.5KW Onan generator, patio awning, exterior shower, hydraulic leveling system, power mirrors with heat, back-up camera, solid surface kitchen counter, 2 roof A/Cs, upgraded leather seats and couches, and 3 flat screen TV’s (1 flat screen TV swings out from an exterior compartment for outdoor viewing)!